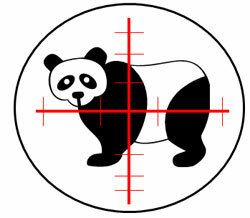 Make Google Panda EXTINCT with the Right Content! We were hit by Google Panda and I know it was our content. However, just adding new content doesn't seem to be enough. Can you tell us EXACTLY what kind of content would work best for an e-commerce operation like ours? Has Google provided any actionable content-related advice that affected sites can implement going forward? Answer: This is a common question and you are correct: just adding new (or more) content to your site WON'T reverse your Google Panda issues. You need to add the right kind of content and you may need to make other wholesale changes to your Web site. As we've covered previously in SearchEngineNews.com, Google Panda is a long-term algorithmic shift that has involved several updates. The first update, Panda 1.0, rolled out in February and has been followed by several more, all of which have affected a growing number of sites. Panda 2.4 on August 12th. Panda 2.3 on July 27th or so. We've told both our own clients and current subscribers to Search Engine News who believe they have been affected by Panda to first review their site logs against the above listed updates. If drops in your site traffic line-up closely to any of the dates above, then Panda was likely the result.